With well-appointed rooms and suites, StaySky Suites I-Drive Orlando welcomes you to the magic and excitement of the theme park capital of the world. Strategically located in proximity to the theme parks, Orange County Convention Centre and the best Orlando nightlife and entertainment venues. Accommodations at StaySky Suites pamper you with casual and homely comfort. The well-appointed suites come with a separate living area and fully equipped kitchens. 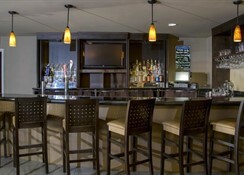 The complimentary continental breakfast and well-stocked bar take care of your dining needs, while the local restaurants are great options for lunch and dinner. 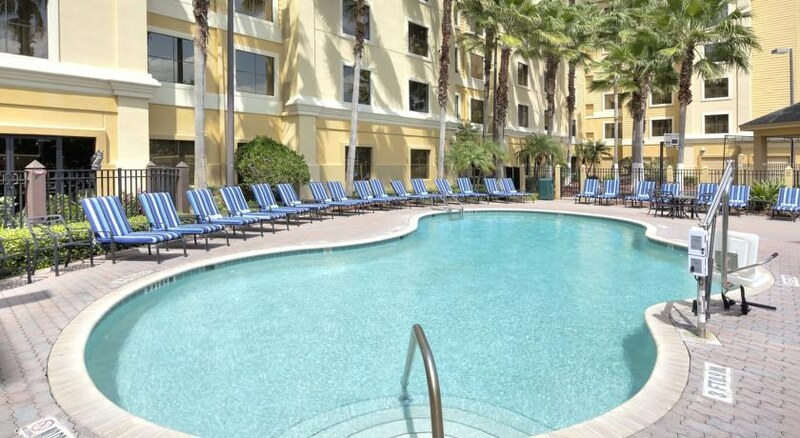 Guests are offered a range of amenities at this family-friendly hotel, which includes free transportation to Walt Disney World, Universal and SeaWorld Orlando, outdoor pool, hot tub, sports court and fitness centre. The hotel is a favourite among business travellers too, who can make use of the world-class business centre, complimentary wireless internet connection and meeting facilities. 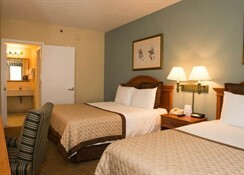 If you walk a minute towards the east of the International Drive, you’ll reach this fantastic hotel in Orlando. 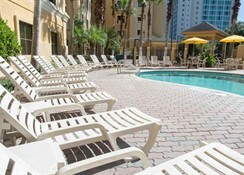 All the major theme parks surround the StaySky Suites I-Drive Orlando. The two nearest airports from the property are Orlando International Airport at a distance of 15.8 km and Orlando Executive at 16.7 km. The central location of Stay Sky Suites brings spontaneity, thanks to the hundreds of local attractions, cultural excursions and sporting events. 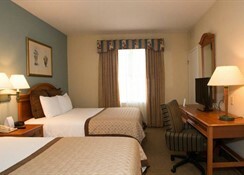 The non-smoking family suites at StaySky ooze homely warmth complemented by well-appointed decor. The one- and two-bedroom suites feature a separate bedroom and bath, a living area with sleeper sofa and a fully functioning kitchen. The hotel provides you with a personal kitchen equipped with appliances and cutlery for preparing your own food. 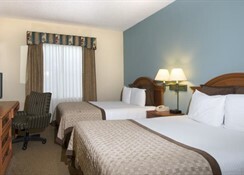 The hotel also has upscale Executive Guest Rooms for guests with business needs, featuring queen-sized bed, private bathroom, work desk and chair. Cereals, yoghurt, eggs, bacon or sausage, fresh fruits and juices along with coffee – the complimentary hot and cold breakfast served fresh daily at StaySky Suites I-Drive Orlando include all these and more. For your favourite cocktail, head to the Marketplace Bar located on the first floor near the lobby. Here you can watch sports on big screen TVs while enjoying a drink and munching on pub-style food. The neighbouring restaurants, bars and cafes too offer fantastic food and drinks. 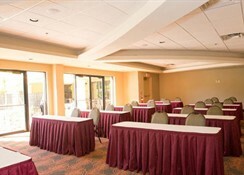 At StaySky Suites I-Drive Orlando, you get to have the best of the worlds. Amid all the luxury in a homely atmosphere, you get to play virtual games in the exclusive gaming room, or tee off at the nearby golf courses. You can take a dip in the outside pool, or for ultimate relaxation, take steam baths and Jacuzzi. Those who would want to continue their fitness routine can try out the well-equipped fitness centre. The hotel arranges complimentary transportation to Orlando theme parks, including Walt Disney World, Universal Orlando and SeaWorld, with ticketing service for Walt Disney World.